Discussion in 'UI Customization' started by Humex, May 29, 2013. Those are real nice. Some of them appear to have already been done by the original companies (twitter, pinterest, evernote,). Be careful claiming them as your own, I suppose. The default app icons for Apple are nice. Beautiful! There aren't any for Pro Tools 10 or Logic are there? Thanks for taking the time to find and post these! Keep it up, this is amazing! Wish Apple would have done it, but at least we can still mod the icons. 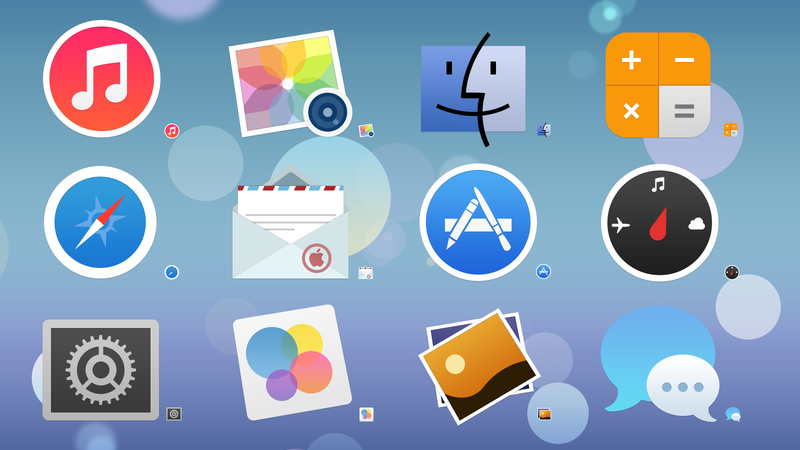 Nice icons, I hope flat design does come to OS X some time. Although, I'm still trying to digest it in iPhone OS. love these. anywhere to DL? Click on the image and the link is below. P.P. - Please do not resize the icon because I tried and I can not. Thank you. Alright, I reattached it to my previous post. I have problems with this icon. He will not be replaced. All others are just not want that? love the icons, in for more.